When deciding what should be shown in a portfolio – general wisdom is to show only your best work. I strive to do my best work for all my clients – they deserve no less from me. 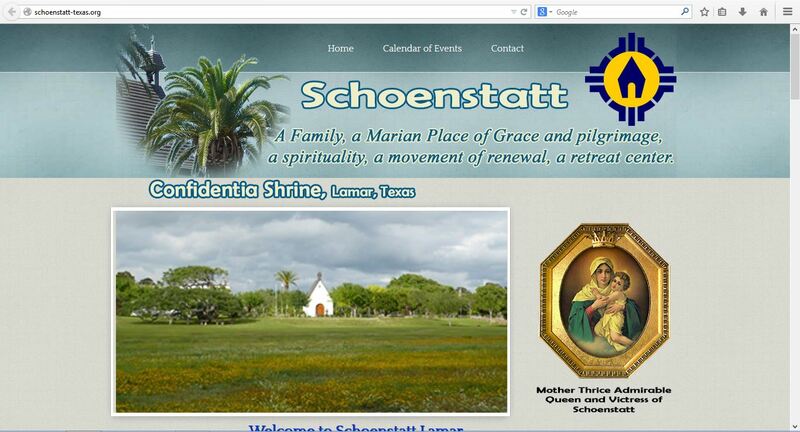 Therefore I present all websites completed that are still in use and with their permission. 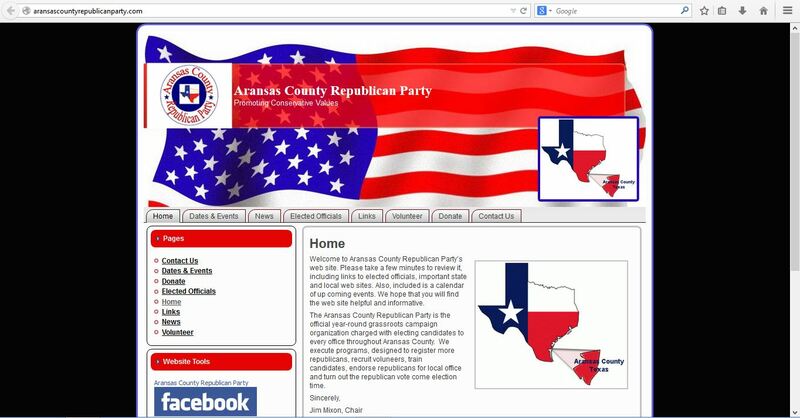 Aransas County Republican Party A general information site of news and events for interested citizens of Aransas County, Texas and beyond. Rockport Guides Captain Ray Burdette of Rockport Guides and El Canelo Ranch is a local fishing guide on the waters of the Texas Coastal Bend. 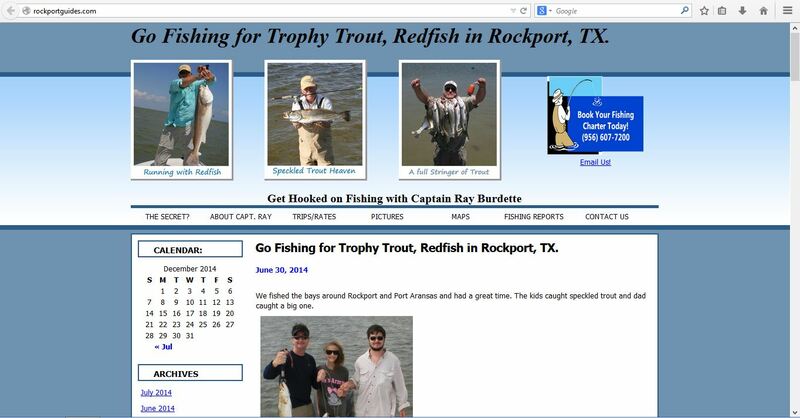 Book a trip or read his blog of fishing reports. 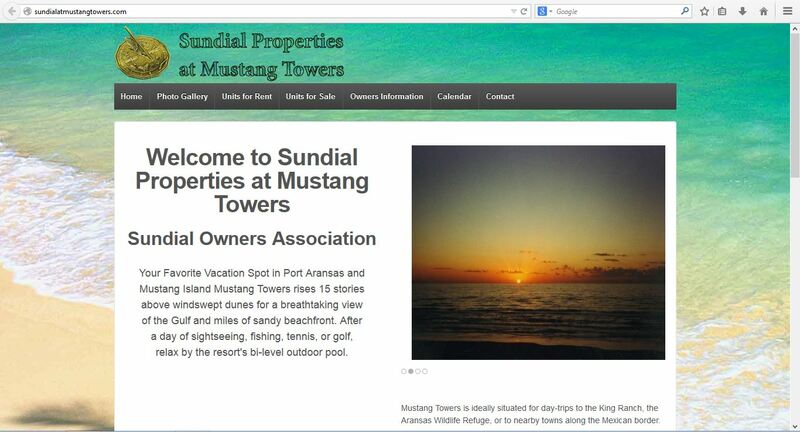 Sundial Properties at Mustang Towers Your favorite vacation spot in Port Aransas and Mustang Island, Mustang Towers rises 15 stories above windswept dunes for a breathtaking view of the Gulf and miles of sandy beachfront. After a day of sightseeing, fishing, tennis, or golf, relax by the resort’s bi-level outdoor pool. 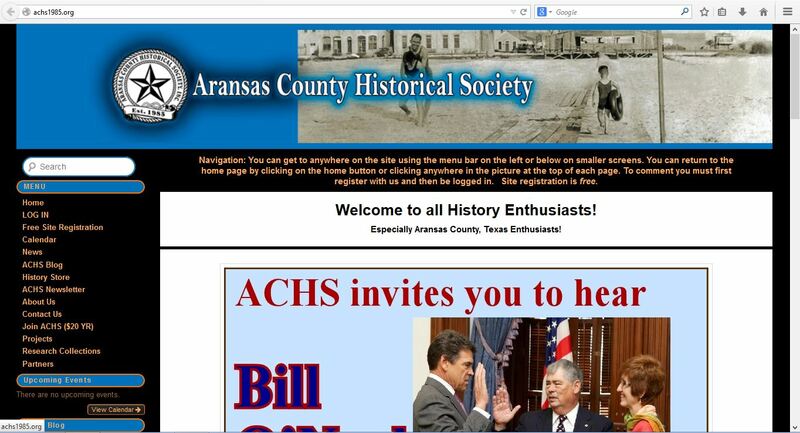 Aransas County Historical Society The Aransas County Historical Society was established in 1985 to identify, protect, record, and interpret historic and prehistoric sites, structures, papers, records, and artifacts relating to the unique environment and evolution of the county, to share all with the public, and to promote the appreciation of history within the area. Hidden Oaks Condo Association Welcome to Hidden Oaks Condominiums, Rockport, TX. 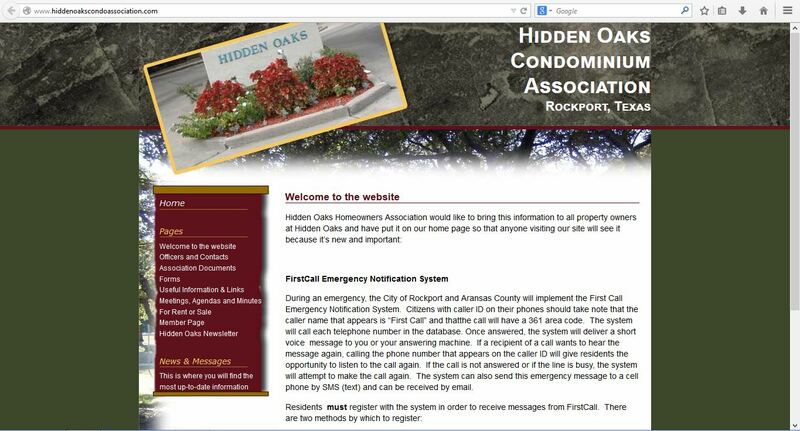 The Association created this website to facilitate property owners’and visitors’ access to information pertaining to condominium operations. 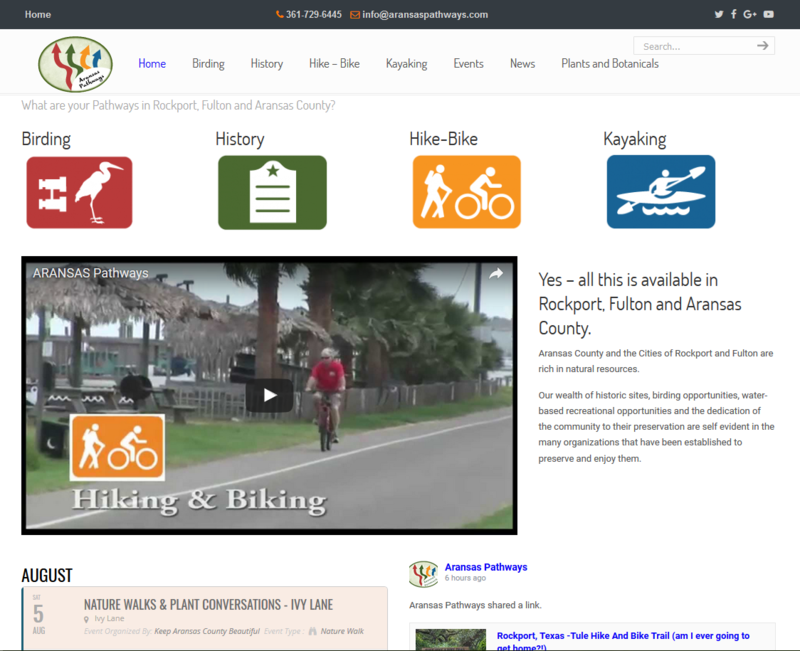 Included in this category are our declarations and bylaws, Board meeting minutes and agendas, upcoming events, and progress reports on current projects. 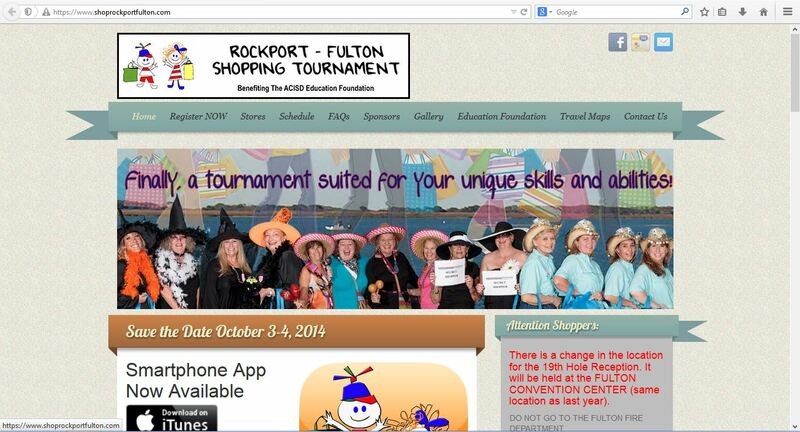 Rockport-Fulton Shopping Tournament Think golf tournament with a shopping twist. Experience “shop ’til you drop” shopping with discounts, costumes, prizes, food, and zany fun. Dress in costumes (encouraged) and compete for prizes as you “play a round” of shopping. Proceeds benefit the Aransas County ISD Education Foundation. Windermere Bay Custom Homes Located in the South Texas Coastal Bend, Windermere Bay Custom Homes is positioned in an expanding market. 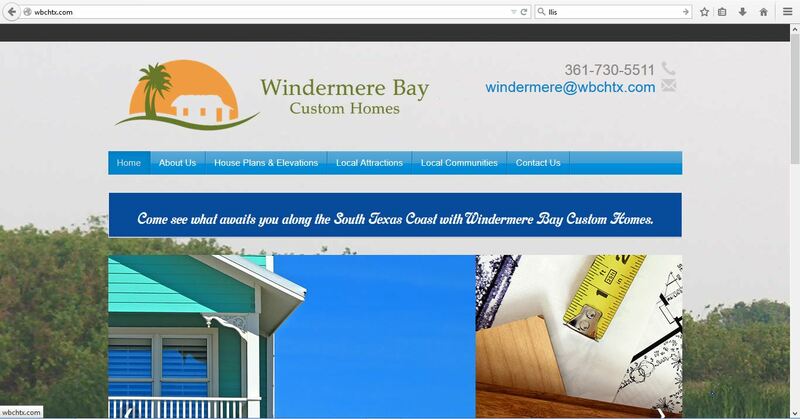 We can build your new custom home on your lot or one of ours.